Baby Blues is a common experience among 80% of moms and parents. There is a normal pattern of adjustment after the birth of the baby that includes times of sadness, tears, disrupted sleeping, and difficulty thinking and concentrating. Baby Blues symptoms will naturally subside after the first two weeks postpartum (after the birth of the baby). Many moms and dads experience a normal level of distress as they transition to caring for the life of a new baby in their house. Postpartum Depression is also a common experience, affecting 15 to 20% of moms and 10% of dads. Postpartum depression is a reference to more significant levels of sadness and anxiety that disrupt normal aspects of functioning in work, home, and relationships. Symptoms can include: depression, tearfulness, anxiety, panic, fear, racing thoughts, difficulty concentrating, irritability, anger, inability to sleep, constant fatigue, noticeable changes in eating, intrusive memories and thoughts, obsessions, worry, compulsions and ritual behaviors, lethargy, apathy, lack of care or interest, thoughts of escaping or leaving, or thoughts of harm to yourself or others. The symptoms can be distressing and alarming, especially when the parent already feels taxed from the pregnancy, birthing, and parenting process. Many moms and dads experiencing these unexpected symptoms feel shame or frustration; choosing to remain quiet for fear of being judged by family, friends, or medical professionals. If the symptoms are left untreated then postpartum depression can continue for several years. However, the symptoms can be treated and relief is possible. Immediate recommendations for someone experiencing distress is to contact their doctor and connect with a counselor; both of these professionals will create specific strategies for symptom relief. Other supporting recommendations include: asking friends and family for help, hiring help, drinking lots of water, eating appropriate meals and snacks, exercising, connecting with supportive friends and family, participating in parent groups, practicing assertive communication, taking time outs for personal self-care, letting go of standards of perfection, laughter, doing any previous normal activity or routine, journaling, deep breathing, and personal reminders. Personal reminders include phrases like: I’m doing the best I can, this won’t last forever, everybody experiences difficult days, it’s ok that I don’t know, and I will feel like myself again. The transition into parenting is an adjustment, and all adjustments (good and bad) come with stress in learning new skills and creating new routines. 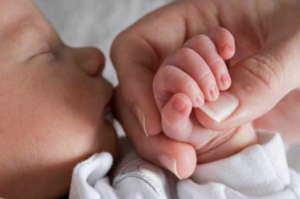 Amongst the new skills and routines and complicated decisions related to feeding, diapering, and sleeping, there is also a heightened amount of urgency to keep the baby alive. family history of postpartum depression, any personal or family history of mental illness, tendency towards perfectionism or excessive worry, limited social support, difficult marriage or partnership, a difficult pregnancy, or other significant stressful experiences like moving, death, illness, financial hardship, or job changes. Some preparation is possible, and it’s also important to remember that we are all doing the best we can with what we know. 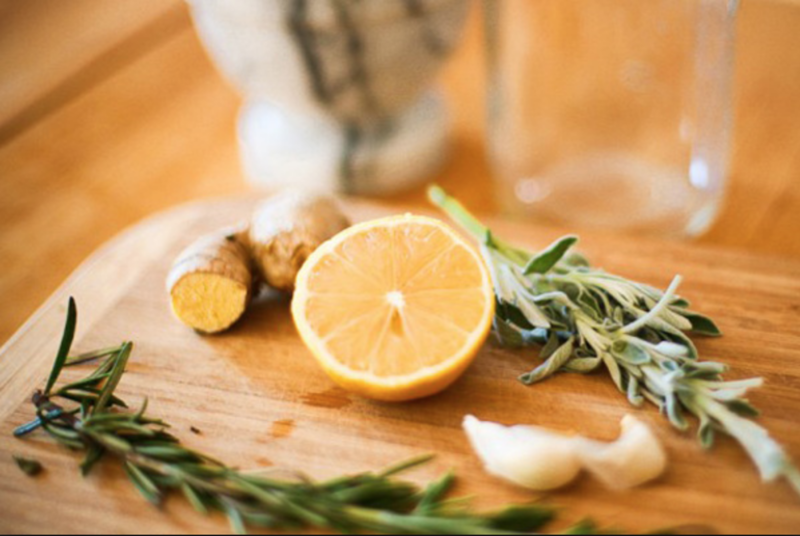 Join Herbalist Brianna Ford for her next informative and fun botanical medicine class. Gain a good knowledge of herbal skin care options. This class will cover types of herbal skin care – lotions and creams, appropriate plants for herbal skin care, and equipment needed for making products. Participants will try herbal skin care products in class and make 2 products to take home. Students pay the instructor a $5.00 materials fee at class. 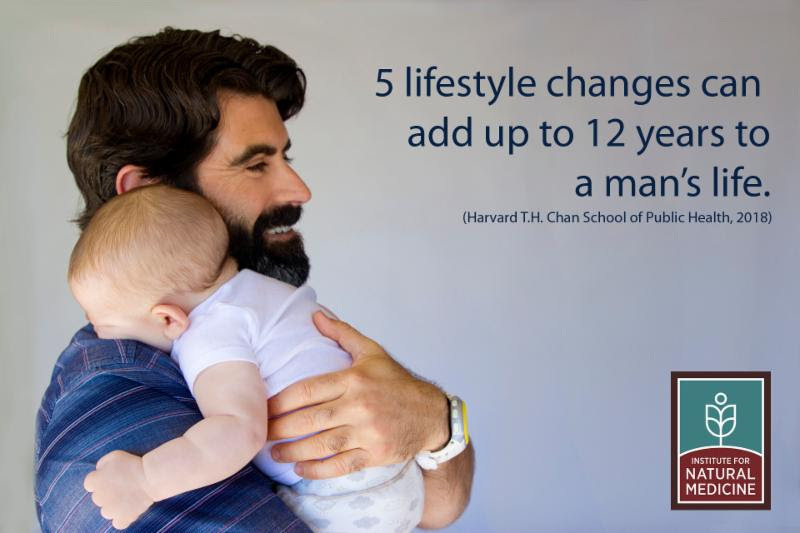 Five key lifestyle changes can add up to 12 years to a man’s life, according to a new Harvard study. But unhealthy lifestyle habits, less frequent screening, and late treatment for preventable chronic diseases all result in men dying at greater rates than women from causes including heart disease, diabetes, accidents, and cancer. Naturopathic doctors can help, with a unique, accessible approach to men’s health. 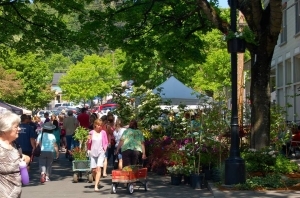 They focus on natural, non-prescription therapies, patient education, and lifestyle changes. Here is new information that will help your readers understand how naturopathic doctors help address men’s health. Naturopathic Medicine: 100 Frequently Asked Questions. A NEW series covering everything you want and need to know about naturopathic doctors and naturopathic medicine. This FAQ series is helping to educate and inform patients, consumers, and build awareness and credibility for the profession. Thanks to INM Institute for Natural Medicine and AANP The American Association of Naturopathic Physicians for this content. Why is “Doctor As Teacher” a Principle of Naturopathic Medicine? Good communication with your doctor is better for your health! 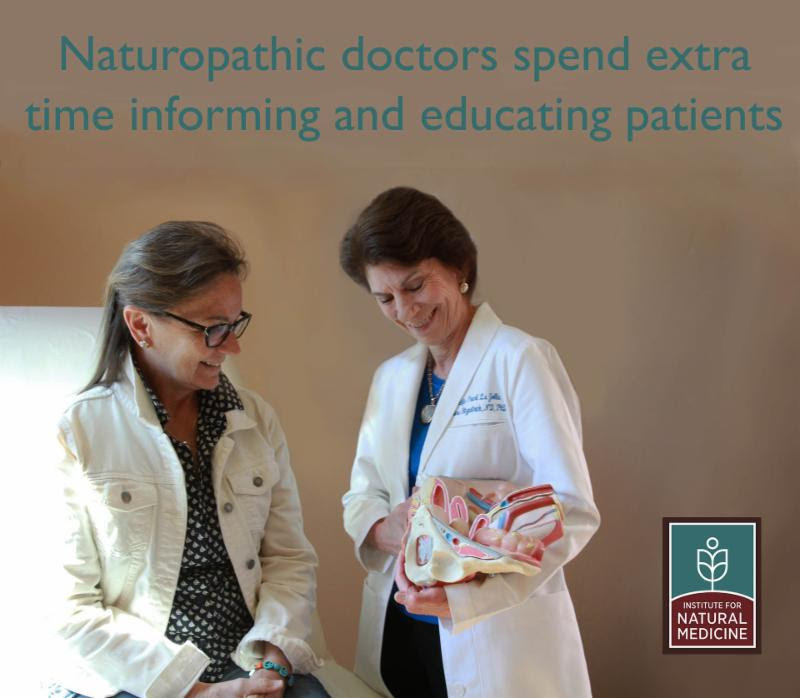 Naturopathic doctors prioritize empathy, connection, and sharing of relevant information. Learn more in this new FAQ. Having a clear understanding of a treatment plan and strategy leads to better compliance. Studies show that non-compliance to doctor recommendations is epidemic, and it can lead to ineffective treatment or further health concerns. Questions about naturopathic medicine? 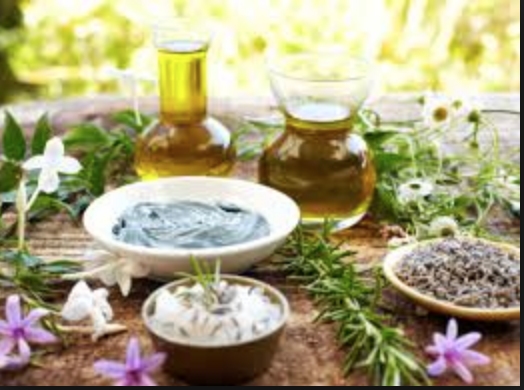 Fins answers here: “Naturopathic Medicine: 100 Frequently Asked Questions” is a series of facts covering everything you want and need to know about naturopathic doctors and naturopathic medicine. This is a service provided by The American Association of Naturopathic Physicians and the Institute for Natural Medicine. May is Women’s Health Month! An estimated two million U.S. women reach menopause every year. But many begin to experience an array of physical, mental, and emotional symptoms long before menopause. 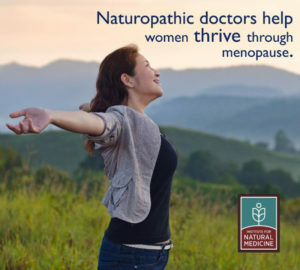 Naturopathic doctors use a whole-body approach to address perimenopause symptoms and to strengthen the foundation of a woman’s health so she can thrive through the changes. Here is information that will help you understand how naturopathic doctors help women thrive during perimenopause. Questions about naturopathic medicine? Here are answers: “Naturopathic Medicine: 100 Frequently Asked Questions” is a series of facts covering everything you want and need to know about naturopathic doctors and naturopathic medicine. This service is brought to you by The American Association of Naturopathic Physicians and the Institute for Natural Medicine. In the latest FAQ, learn about how naturopathic doctors help women in perimenopause. Click here to read this FAQ and others in the series. 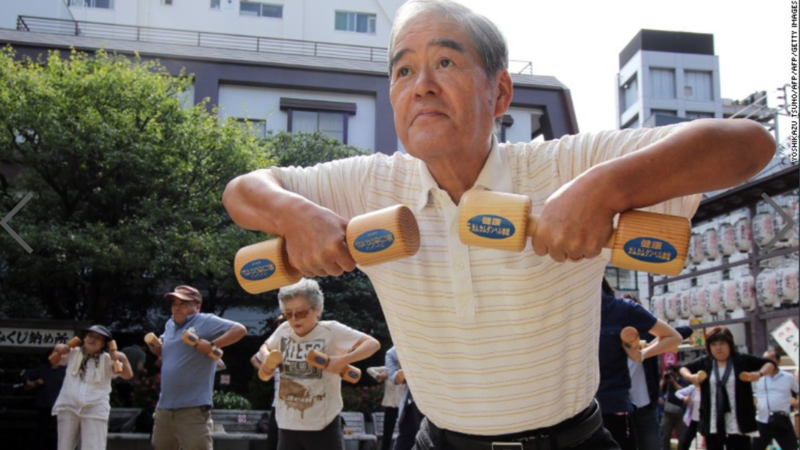 Want to prolong your life expectancy by more than a decade? A new study suggests that you can do just that by following these five healthy habits: never smoke, maintain a healthy body-mass index, keep up moderate to vigorous exercise, don’t drink too much alcohol, and eat a healthy diet. 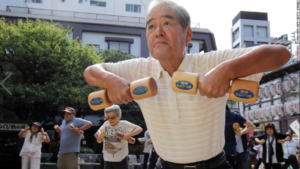 Adhering to those five lifestyle factors at age 50, compared with not adhering to any of them, was associated with 14 additional years of life expectancy among women and 12.2 additional years among men in the study, published in the journal Circulation on Monday. There’s huge gains to be had in our health and longevity by following these simple changes in our behavior patterns. We can all do this! Join Herbalist Brianna Ford for an evening of fun, learning about incorporating medicinal herbs into everyday foods. Learn types of foods that herbal medicine can be added to, appropriate plants for herbal foods, and equipment needed. Participants will try herbal foods in class, and will make herbal medicinal foods to take home. Straws Documentary Free Viewing at the Camas Library on Monday! Earth Day 2018 is Sunday April 22. The Earth Day 2018 Campaign is: End Plastic Pollution. Plastic pollution is poisoning our oceans and land, injuring marine life, and affecting our health! Earth Day is dedicated to providing the information and inspiration needed to fundamentally change human attitude and behavior about plastics. 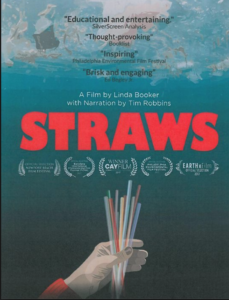 In honor of this year’s Earth Day campaign, two local women – Geri Rubano and Alicia King, and the Camas Public Library have teamed up to present a free screening of the award-winning documentary STRAWS. Directed by Linda Booker and narrated by Oscar winning actor Tim Robbins, the 33-minute documentary highlights the environmental impact of plastic straws and seeks a new path forward with sustainable straw alternatives. The free documentary screening is open to the public and begins at 6:30 p.m., Monday, April 23, at the Camas Library, 625 N.E. Fourth Ave.
For more information about the documentary, visit strawsfilm.com. To learn about plastic straw dangers, visit blueocean.net, strawlessocean.org or thelastplasticstraw.org. Some sustainable alternatives to plastic straws include aardvarkstraws.com and ukonserve.com. The 2018 lists are here! Visit ewg.org/foodnews to download and learn more about pesticides on produce. Many shoppers don’t realize that pesticide residues are common on conventionally grown produce, even after it is carefully washed or peeled. 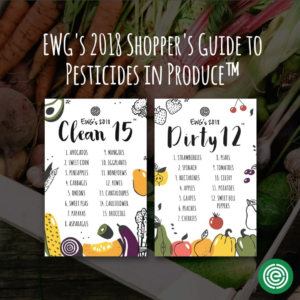 EWG’s analysis of the most recent tests by the Department of Agriculture found that nearly 70 percent of samples of conventionally grown produce were contaminated with pesticide residues. The USDA tests found a total of 230 different pesticides and pesticide breakdown products on the thousands of produce samples analyzed. EWG’s analysis of the tests shows that there are stark differences among various types of produce. 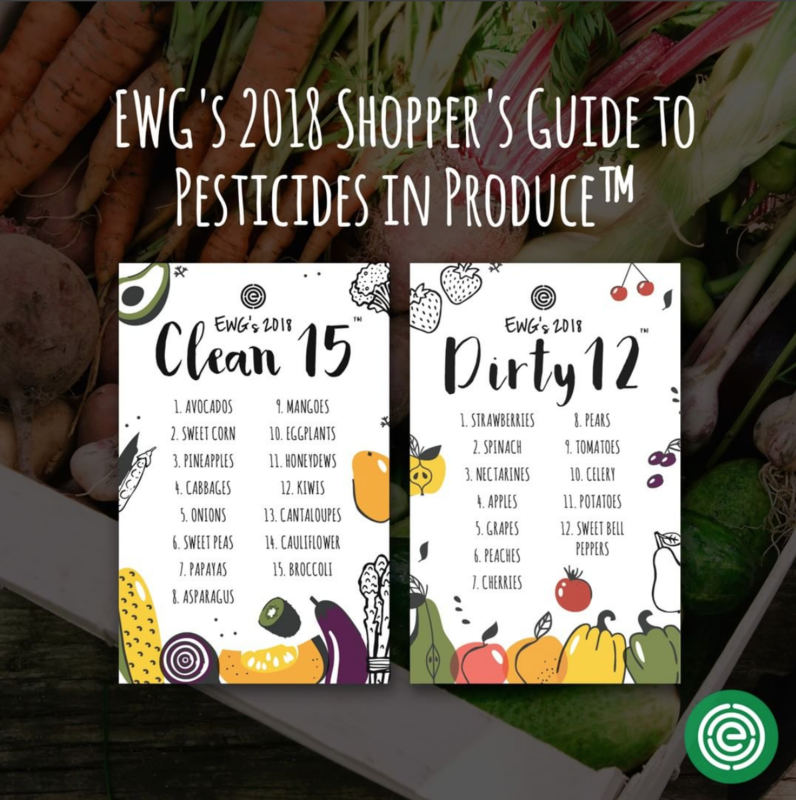 The Shopper’s Guide lists the Dirty Dozen™ fruits and vegetables with the most pesticide residues, and the Clean Fifteen™, for which few, if any, residues were detected. We provide a safe and convenient way to shop for practitioner-trusted vitamins and supplements. We will provide you with the Access Code, then set up an account and enjoy the benefits of fast, easy ordering, free shipping, and auto-ship.